President-elect Barack Obama plans to announce his economic team on Monday as part of an effort to reassure markets and will name New York Fed President Tim Geithner his nominee for Treasury Secretary, NBC News has learned. Geithner was a U.S. Treasury Department official under both Bob Rubin and Larry Summers and has been with Treasury since 1988. 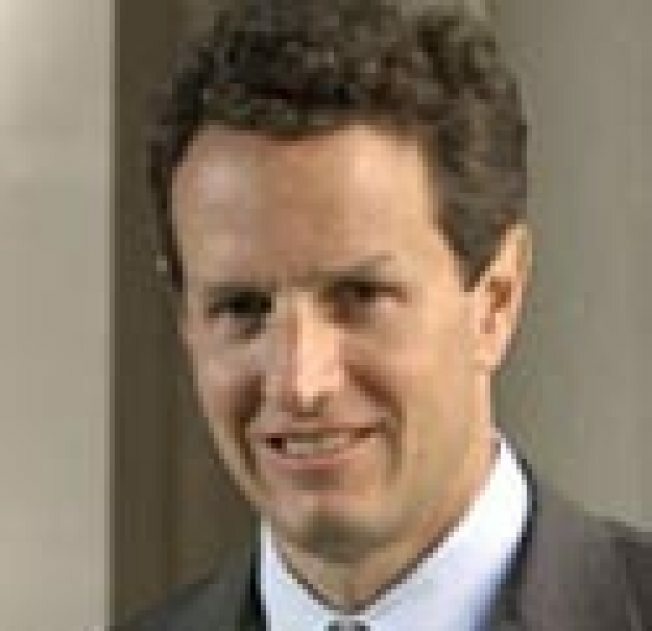 Geithner's nomination is anticipated barring last-minute changes, NBC reported. Geithner has helped current Treasury Secretary Hank Paulson and his team manage the ongoing Wall Street bailout. Obama also is expected to tap New Mexico Gov. Bill Richardson as U.S. secretary of commerce, NBC News said on Friday. Richardson, a former United Nations ambassador and energy secretary during President Bill Clinton's administration, had been an early supporter of Obama after dropping his own presidential ambitions. US stocks violently reversed earlier losses following the Geithner news, with the Dow Jones Industrial Average posting a greater than 300-point move to the upside. Private sector economists generally applauded Geithner's nomination, saying he had performed well during the financial crisis, but some questioned his overall experience. "I would say the market is going to like it," said James Awad, managing director of Zephyr Capital. "[Former Clinton Treasury Secretary Larry] Summers was more controversial. People will view it as a safe choice, an experienced guy. "There's a little bit of a question because he's associated with the bailout," Awad added, "and that's still a work in progress and not totally successful. There will be a few who'll be upset because he's associated with the TARP." "Geithner is a solid choice. He has shown more independent thinking," said Former Sen. Don Riegle, who chaired the Senate Banking Committee during the savings and loan crisis. "He has also seen this financial system meltdown from the inside ... he can offer highly skilled and pragmatic advice to Obama." "He will understand the urgent necessity of assembling a world class team at Treasury ... and be able to attract the talents he needs," Riegle continued. "This choice will also facilitate close cooperation between the Treasury Department and the Federal Reserve, [which is] much-needed given the increasing scale of the economic crisis." "He is battle-tested with Rubin and Summers and has done an excellent job orchestrating the Fed's response to the worst financial crisis since the Great Depression," said Chris Rupkey, economist at Bank of Tokyo-Mitsubishi. "A crisis manager par excellence who will hit the ground running, as he has been on the case since the Global funding crisis began way back in July 2007. I cannot think of a better choice who will mesh seamlessly with the Fed and FDIC." According to the New York Fed Web site, Geithner graduated from Dartmouth with a bachelor’s degree in government and Asian studies in 1983 and from the Johns Hopkins School of Advanced International Studies with a master’s in International Economics and East Asian Studies in 1985. He joined the Treasury in 1988 and worked in three administrations, serving as Under Secretary of the Treasury for International Affairs from 1999 to 2001 under Rubin and Summers. He become New York Fed president in 2003. In that capacity, he worked as the vice chairman and a permanent member of the Federal Open Market Committee, the group responsible for formulating the nation's monetary policy.